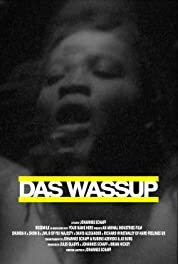 Das Wassup (2017) | Khaanflix | Watch Latest Box-Office Movies Online for Free! Das Wassup follows the band 'Yo Majesty' through its trials and tribulations as they are making it in the music industry and not. The Band consists of three vocalists from Tampa, Florida, the producer team and record label is from the UK. The three lead women of the band had difficult upbringings and they fought hard to establish themselves as open out lesbians. Their compassion, fiery passion and authentic voices charm audiences.